Orbit’s Oblique portfolio is the most complete on the market. Orbit Oblique supports all camera systems which makes it vendor neutral, a required new and open approach to the use of oblique data. Orbi’s 3D Oblique solution comes with a easy-to-use procedure to import documented raw imagery data into Orbit Oblique projects. Manage clearly all single projects and bundle into manageable projects. Optionally add DEM, DSM, LiDAR point cloud and orthophoto. Manage your content, extract and process, and open your market to new consumers, all within one platform. Maximize your efforts and let the data do the work. Using the advanced measure techniques 3D data can be extracted to feed into any GIS or CAD. Drag and drop your vector data file and overlay it in any of the oblique views. Straightforward and very dynamic. 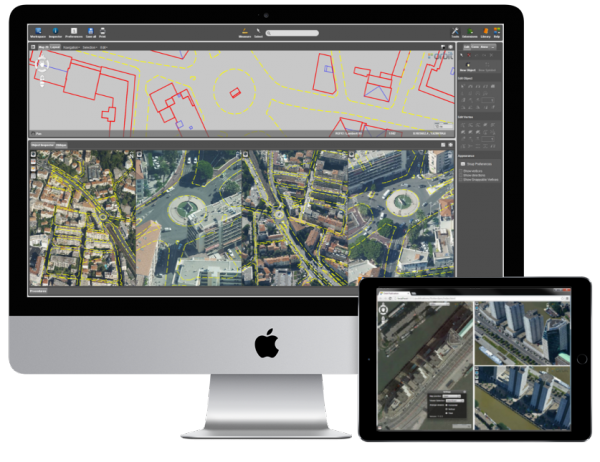 Orbit’s Oblique Mapping portfolio provides the tools to publish and share oblique mapping content and extracted features & assets online, either via 3dmapping.cloud or on-premises. 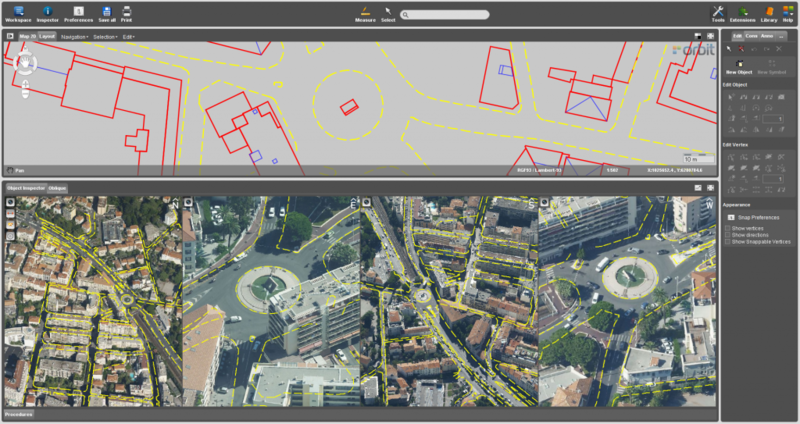 View, Share and Analyse your oblique mapping resources from any webbrowser, app, or 3rd party software plugin. Bundled with a powerful GIS engine, the software allows to visualize the captured data (imagery and point cloud) and combine with reference data. Any supported geodata file or webbased resource can be combined with the oblique data and overlaid on the Map 2D or 3D. The point cloud can be visualized in full 3D using the extensive legend parameters. Roam through terabytes of data easily and combine with your own vector data. Limitless. Easy. Fast. Measurements are made using a DEM or by triangulation. Single-click measurements require a DEM. The DEM is a part of your Oblique Project and a non-mandatory step of the import procedure. Measurements include point, height, distance, linestring, area, volume. Optimize the workflow with the Oblique Feature Extraction product. 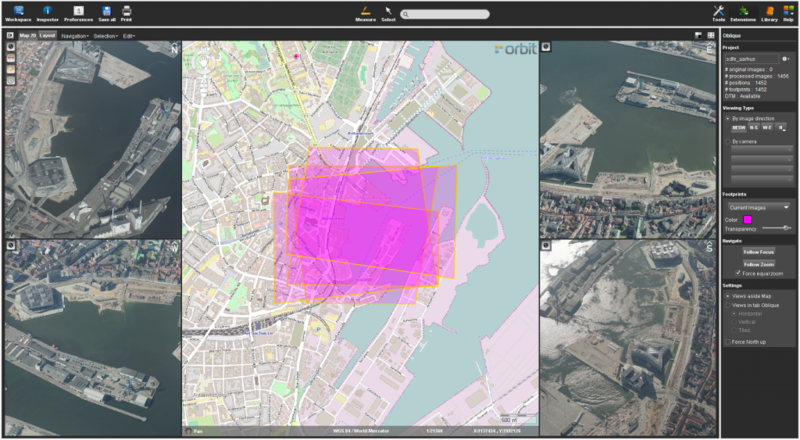 Orbit’s publishing SDKs and APIs allow anyone to access oblique content from within their workflow, business intelligence tools, or any host such as your favorite GIS or CAD system e.g. ArcGIS, ArcOnline, AutoCAD, MicroStation and more.